Nissan CAS cover is made from plastic where often times it breaks shipping the motor from Japan. 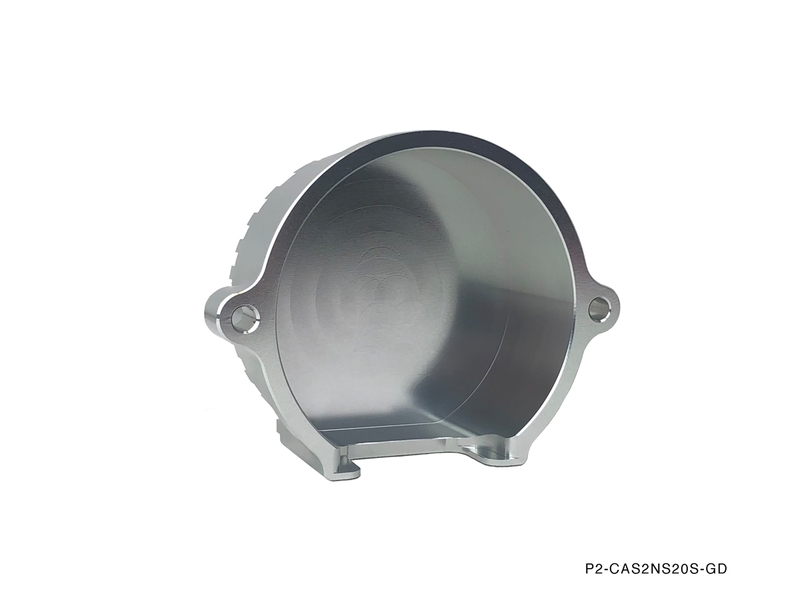 P2M Version 2 CAS cover is made from CNC T6 aluminum, direct fit replacing the factory CAS cover and improves the aesthetic look of your engine bay. The version 2 incorporate cooling fin design to help dissipate the CAS heat when engine is running. 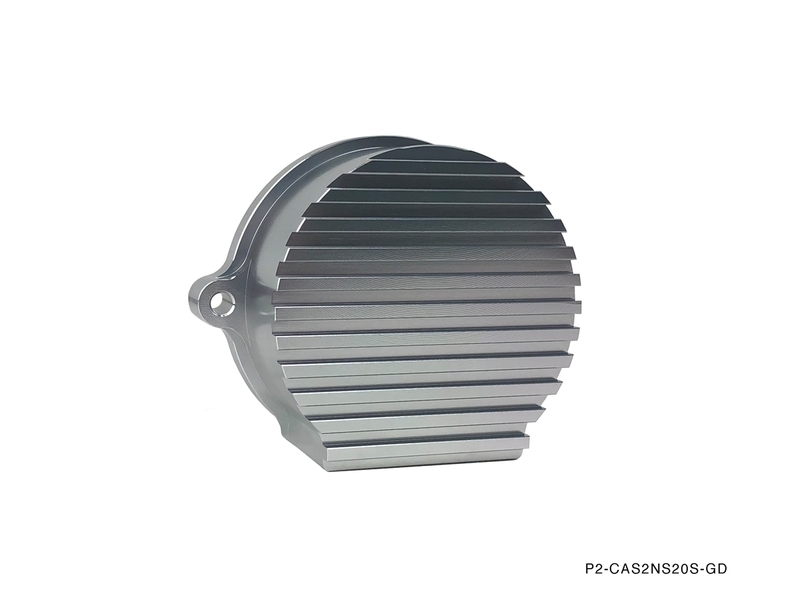 This item is anodized in silver finish color.